The solution offers a quick way for SMB’s to visualize their data. It’s compatible with any data source and provides reporting capabilities for data such as finance, sales and HR. Gain a quick insight into your business! Companies today collect vast amounts of data and relevant business information. The challenge is to use this data and information in an effective manner. Power BI offers a host of possibilities to inexpensively utilize the collected data in intuitive, fast and interactive ways. 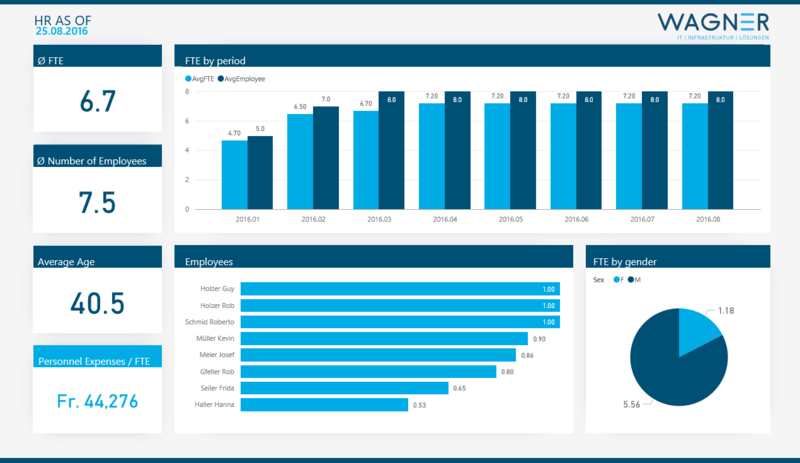 The data then is ultimately visualized in dashboards and reports, which are also accessible via mobile devices such as smartphones and tablets. However, as small and medium sized businesses (SMBs) rarely need a wide scaled Business Intelligence (BI) solution, we have built a tool tailored precisely to the needs of SMBs. 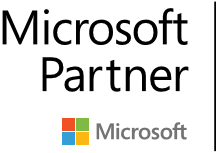 Our SMB starter pack helps small and medium sized businesses with or without a pre-existing data warehouse or a fully integrated ERP system to visualize their data. 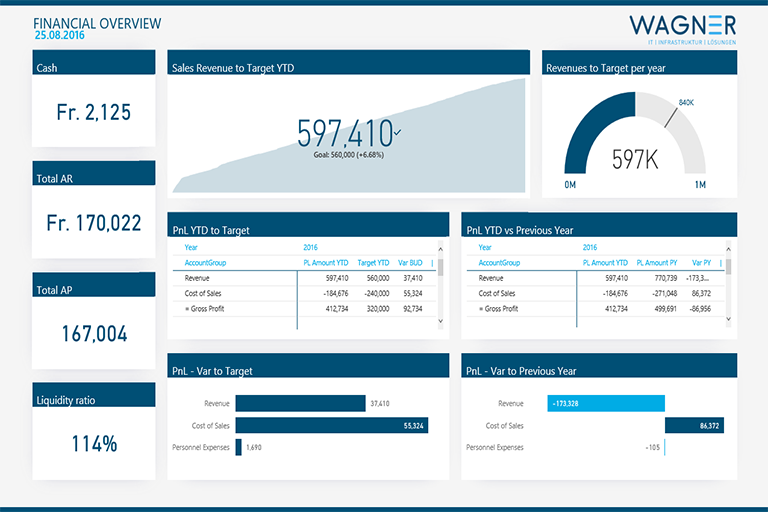 For companies which lack a data warehouse or ERP system, we have created an Excel template with five different sheets that allows you to visualize the most important KPIs for SMBs. We have prepared tables to calculate the balance statement (specifically the cash amount at the end of each month), gather budget data, collect purchasing data, track personnel expenses, record sales information, as well as a way to keep track of data about the employees themselves. We use data from the Excel template or data from your data warehouse to design strategies to visualize Key Performance Indicators (KPIs) such as revenue per month vs. budget, margin by product or customer, units sold, the profit and loss statement, cash balances, accounts receivable, accounts payable, Full Time Equivalents (FTEs), number of employees, average age of employees and much more. 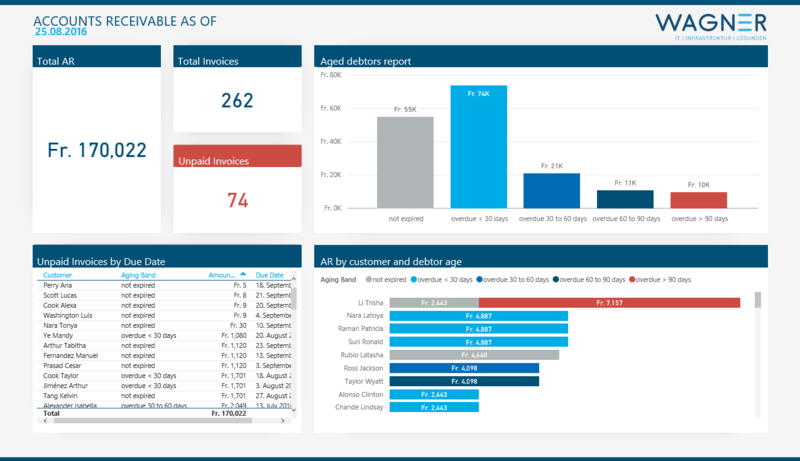 All you have to do is fill in the data sheets and refresh the reports with the Power BI Service - and voilà, your updated reports and dashboards will appear right before your eyes!